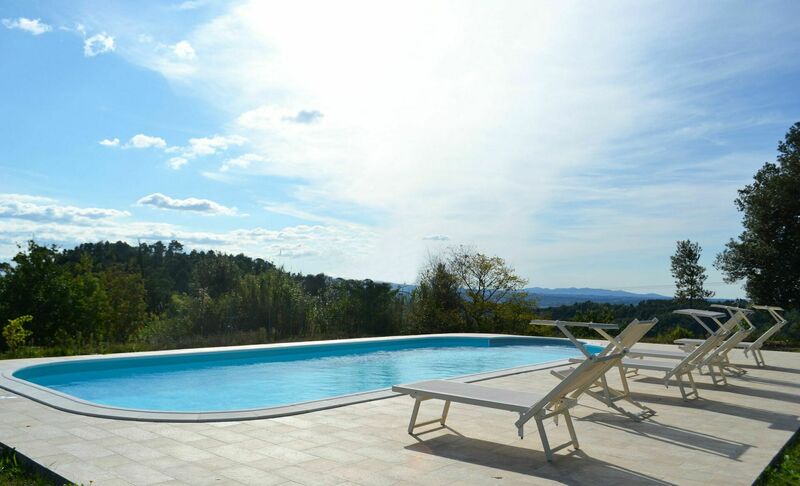 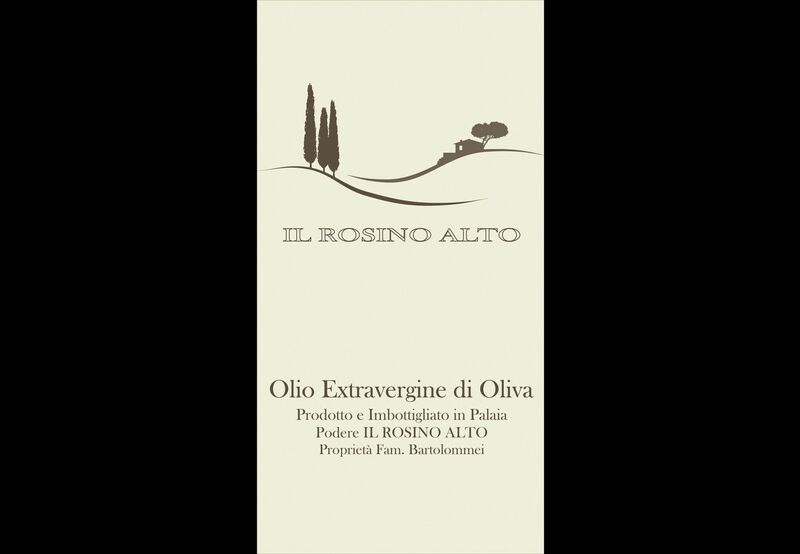 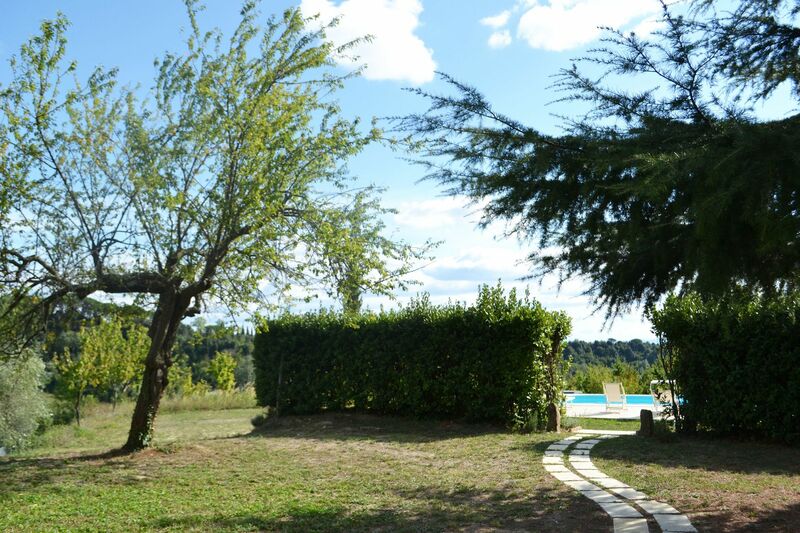 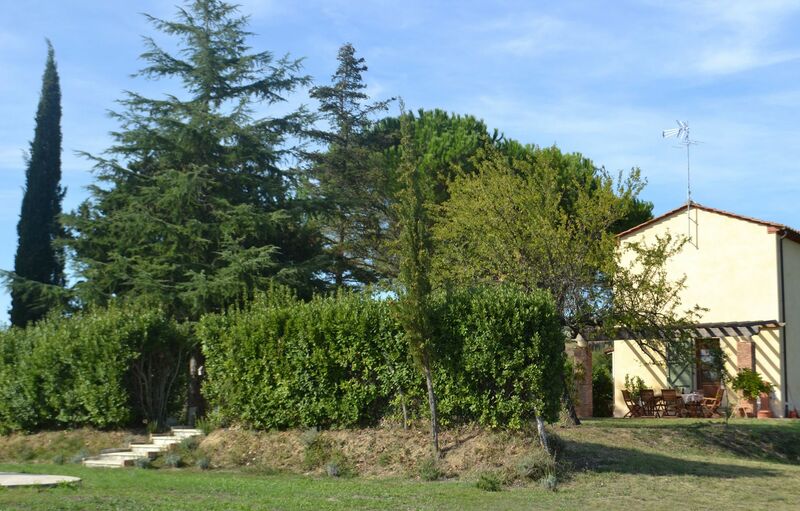 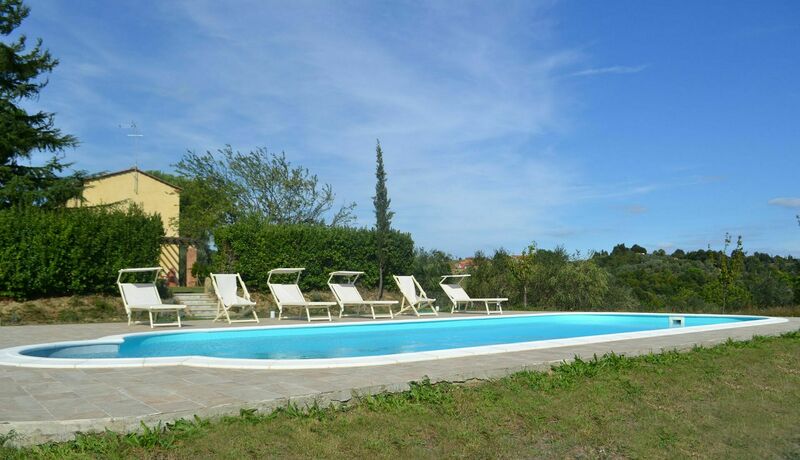 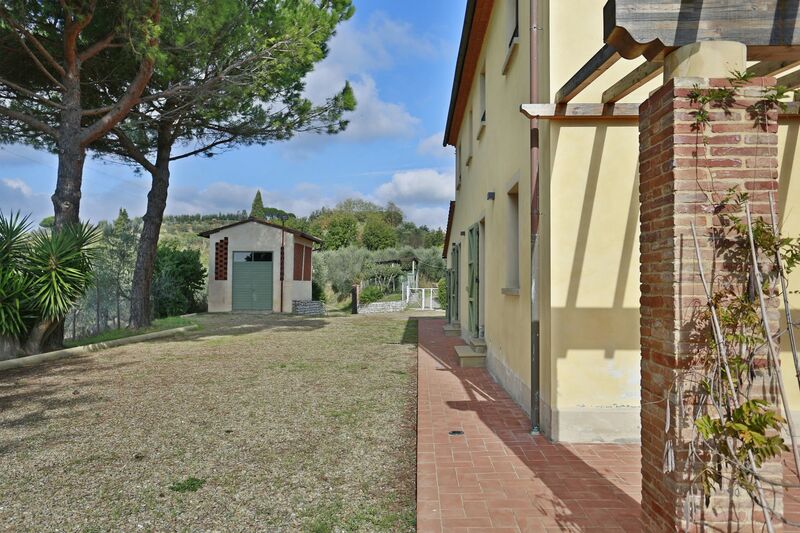 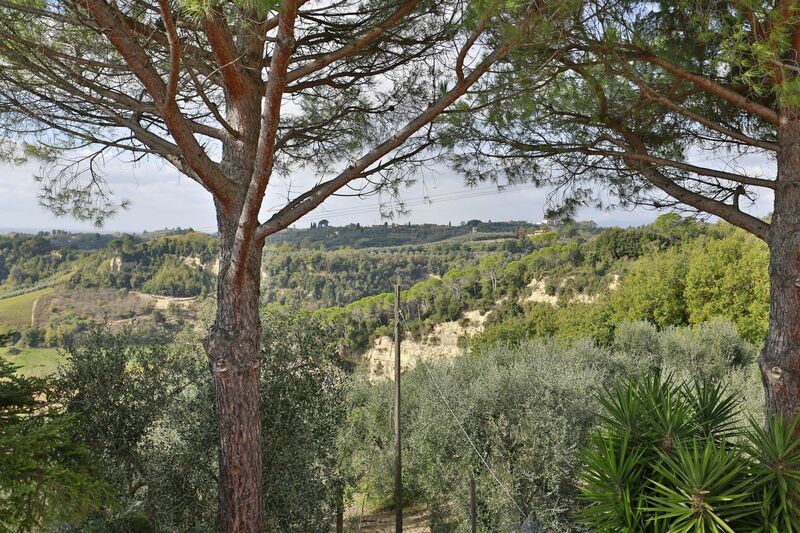 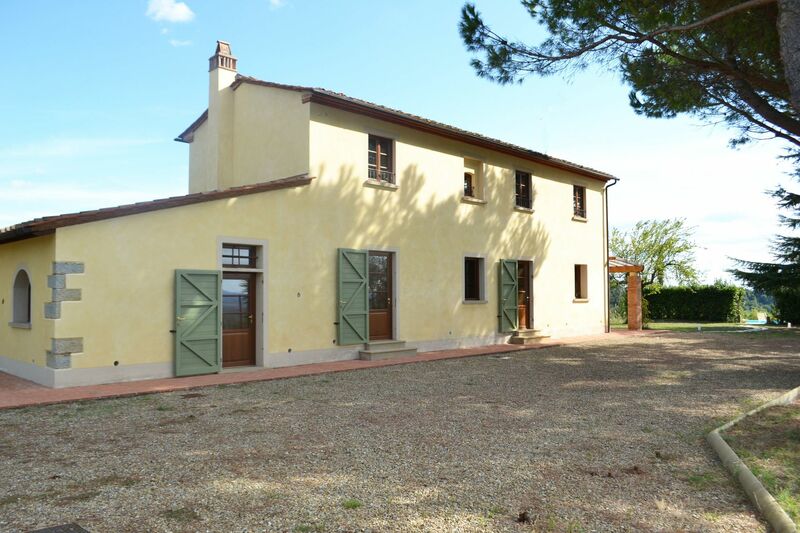 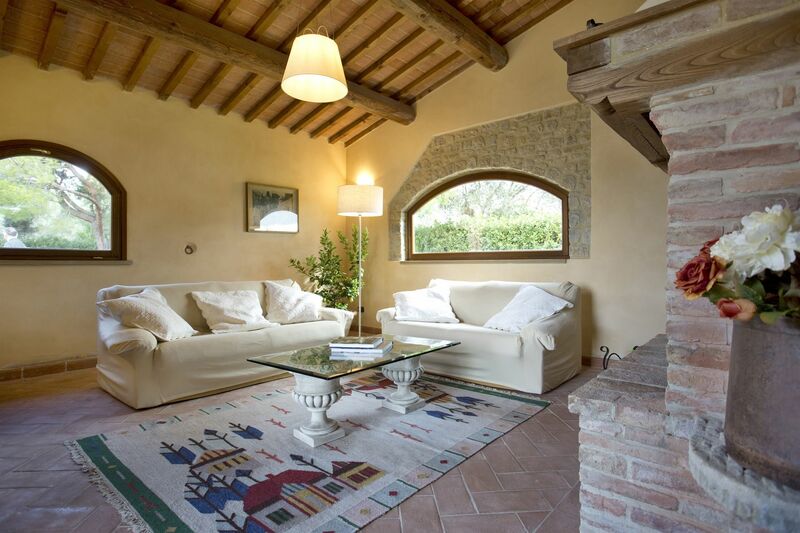 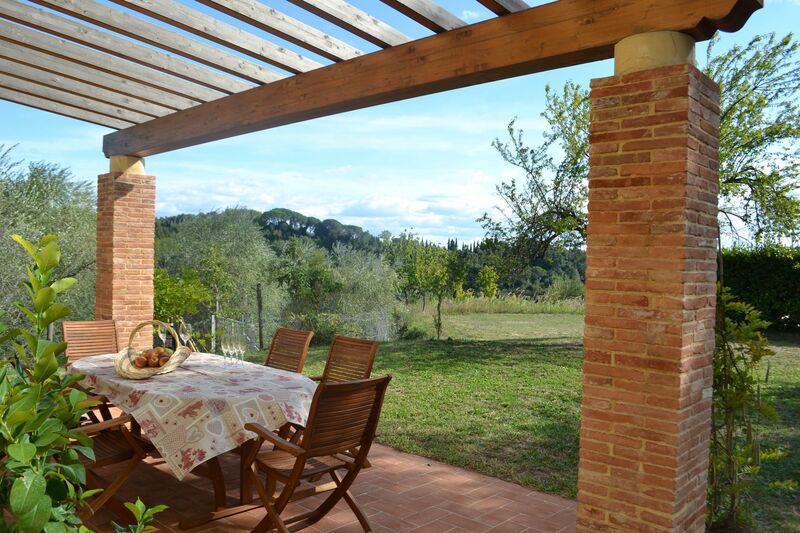 This beautiful Tuscan villa with private pool is set in an idyllic position among olive groves where an excellent olive oil (EVO) is produced. 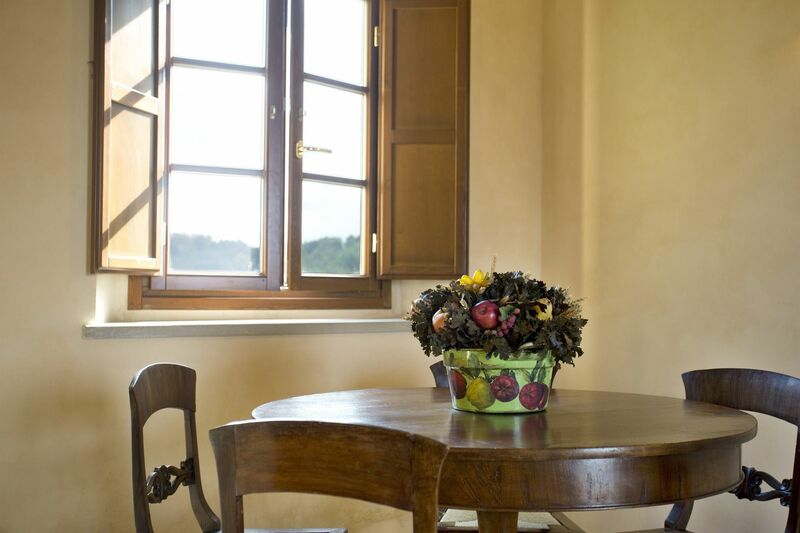 Guests who have stayed here in the past have appreciated the surrounding nature as well as enchanting views over the hills. 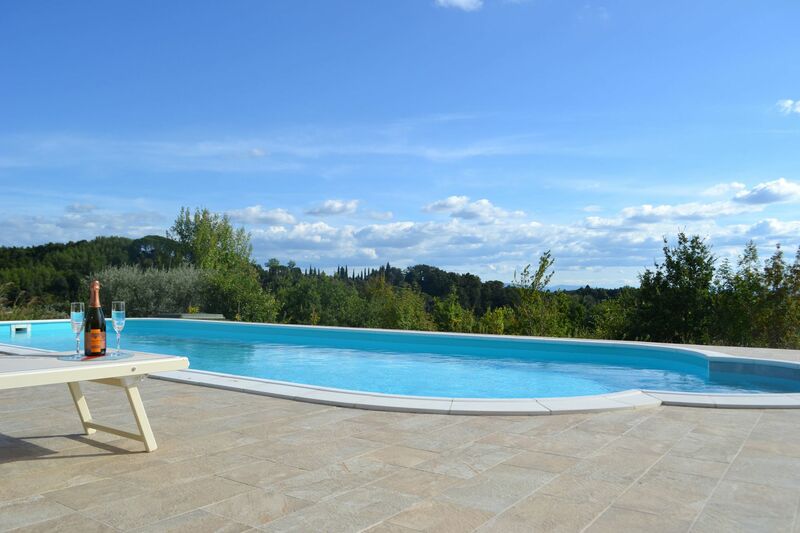 The beautiful view can especially enjoyed from the large swimming pool which has been installed in a panoramic separate area of the garden. 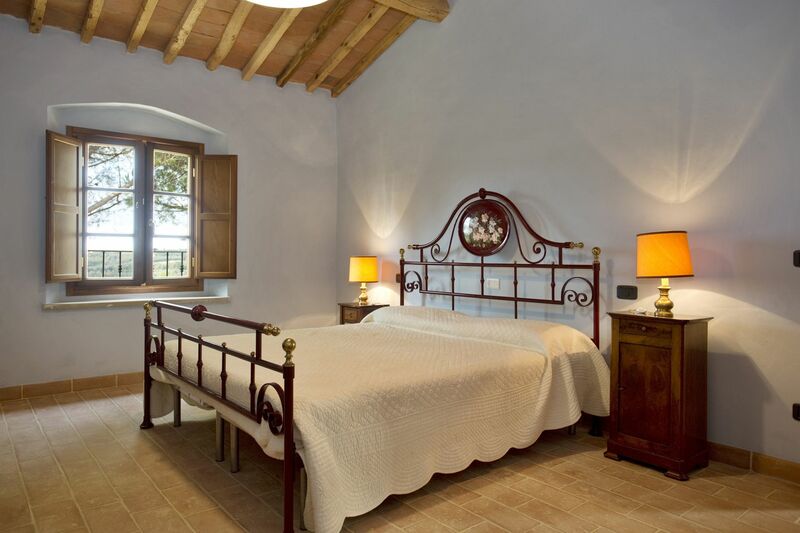 This charming farmhouse is ideally located at walking distance from Palaia, an ancient hilltop village dating back to the year 1000, nowadays offering all main amenities, and is therefore an ideal oasis for those looking for a fully restful holiday. 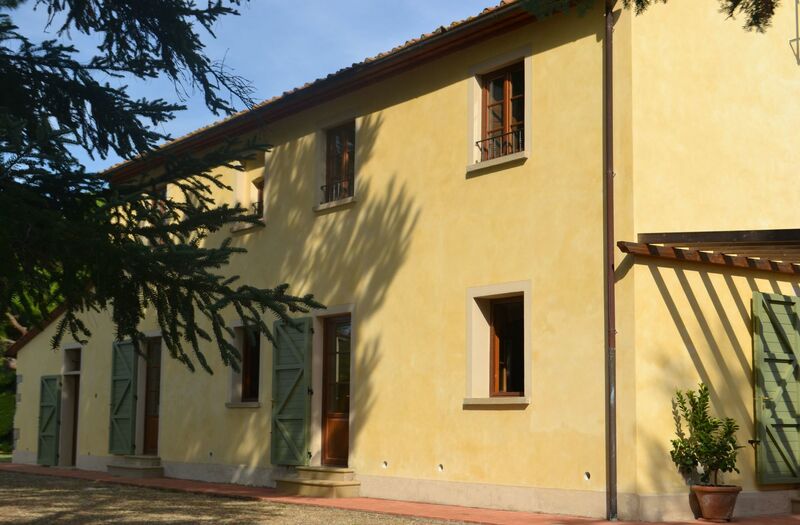 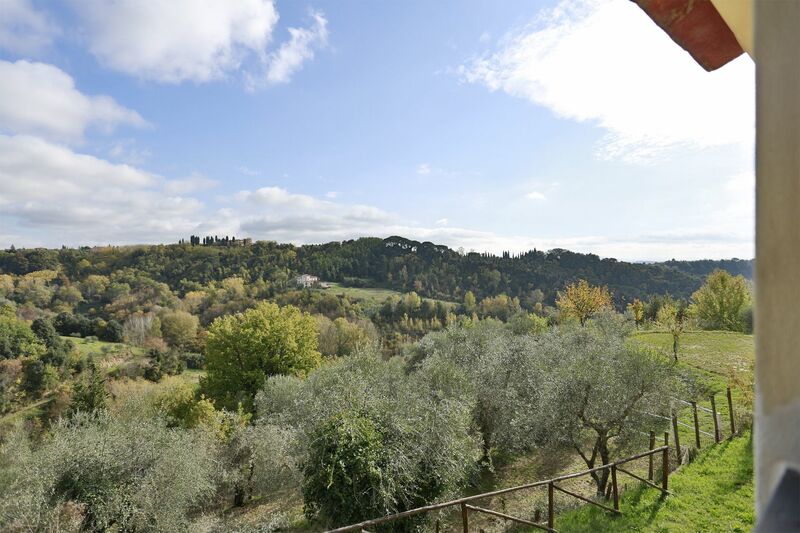 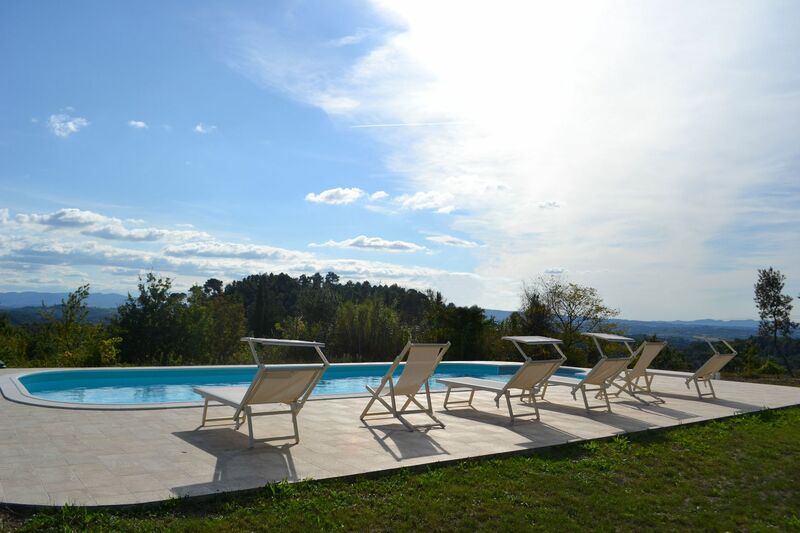 Despite its unrivalled quiet position, Il Rosino Alto is ideal for exploring Tuscany, being half-way between Lucca and Pisa (both at nearly 40 km away), and with Florence and Siena at a short driving distance. 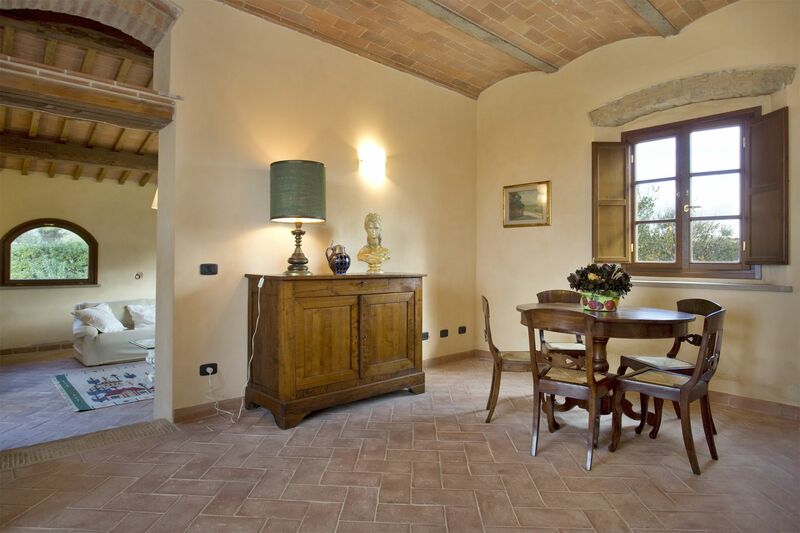 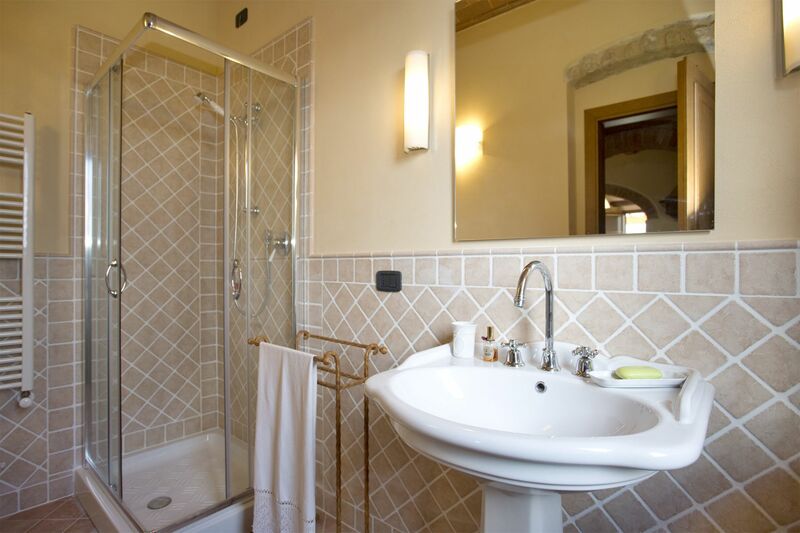 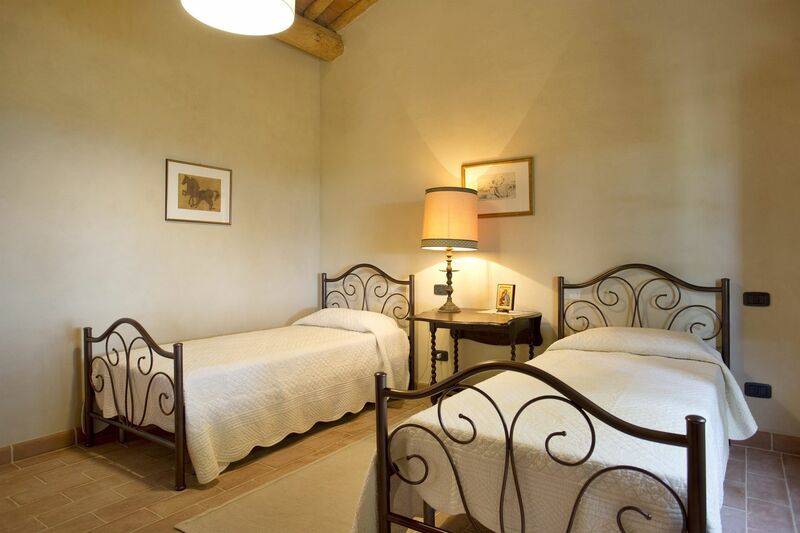 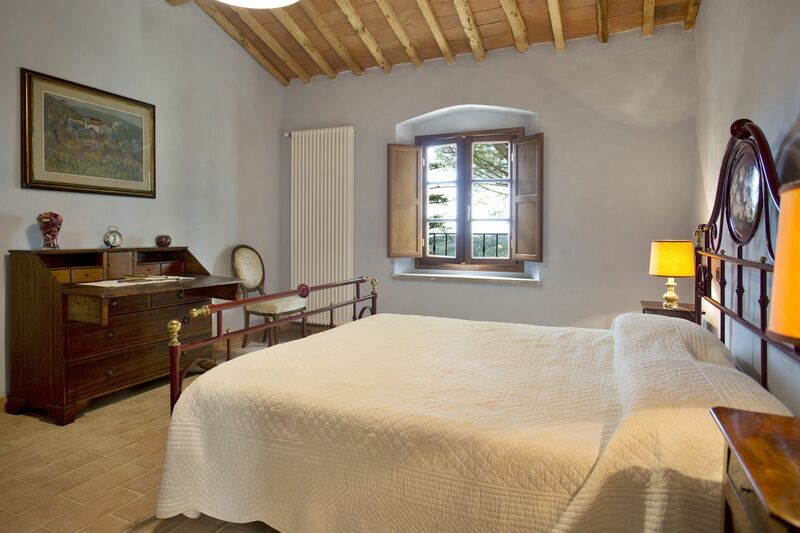 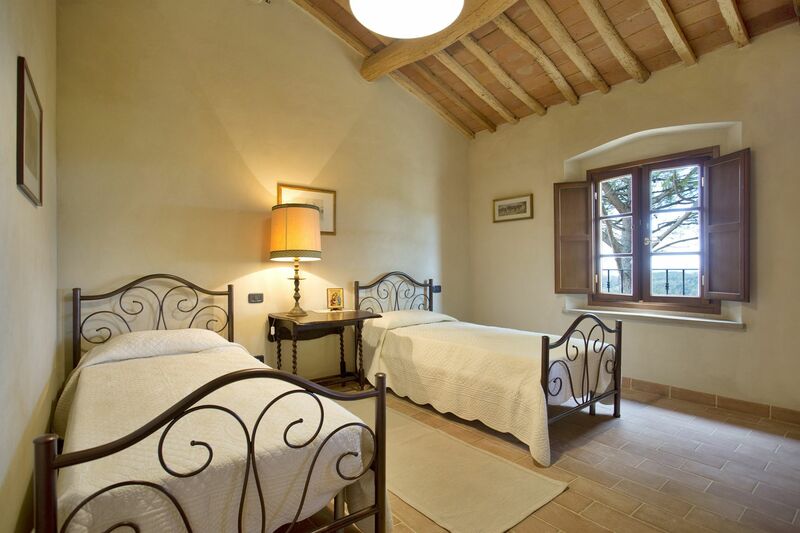 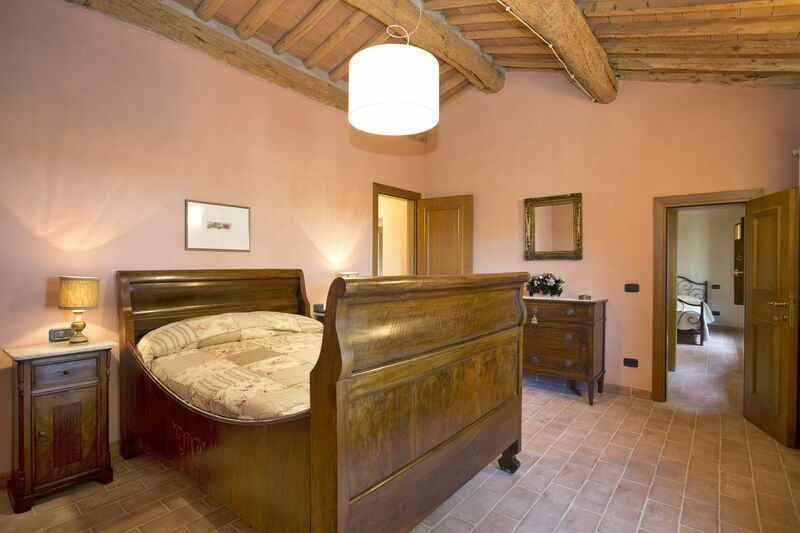 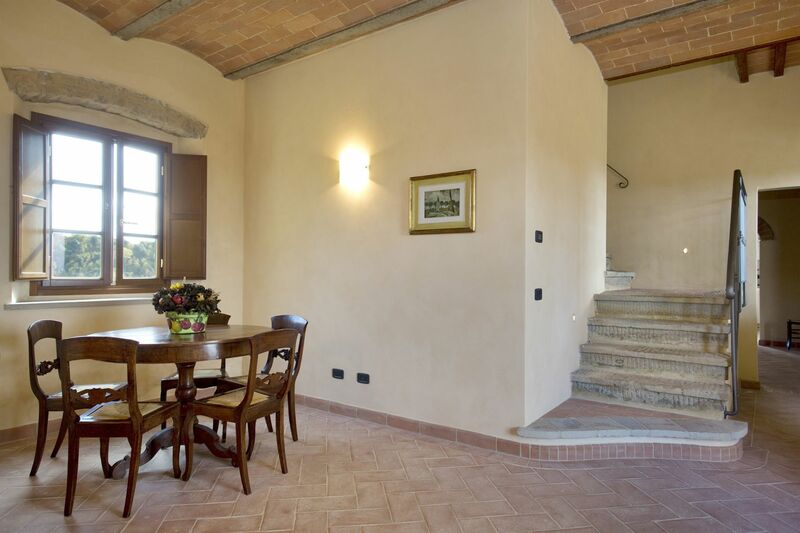 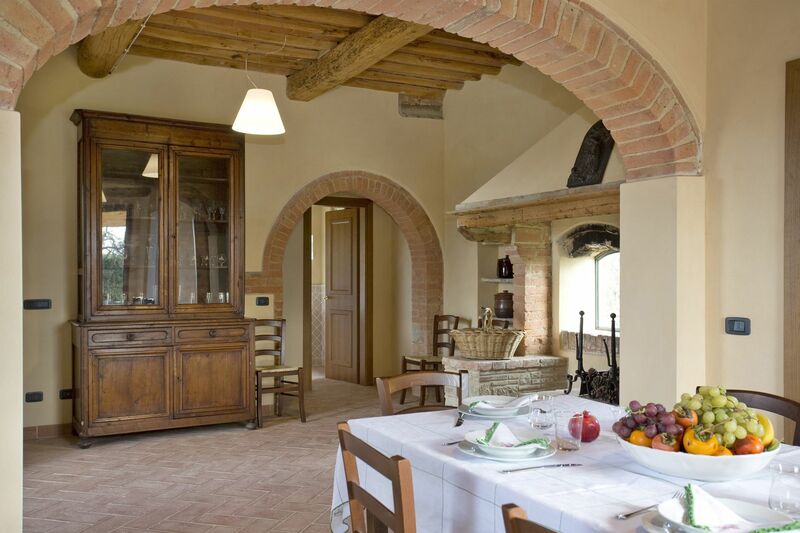 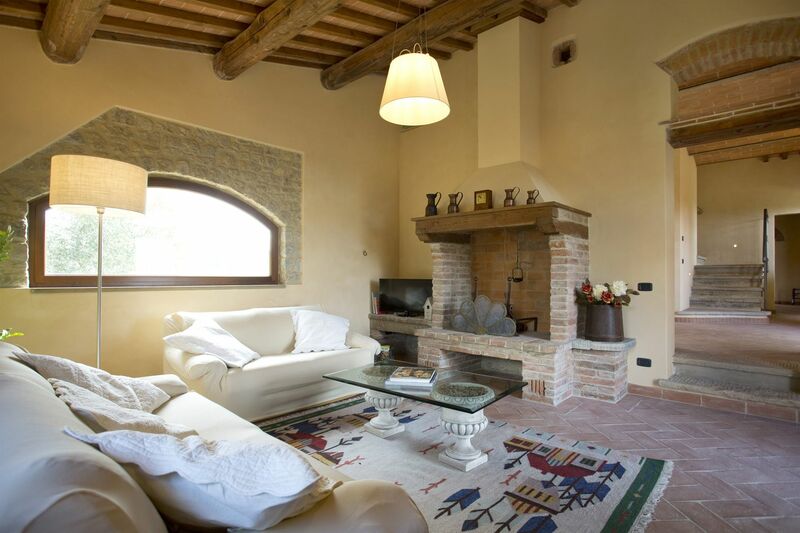 The house was built in the second half of the 19th Century and it was recently converted to offer total comfort, with spacious rooms and several windows overlooking the countryside, while maintaining the character of the original structure with traditional Tuscan materials. 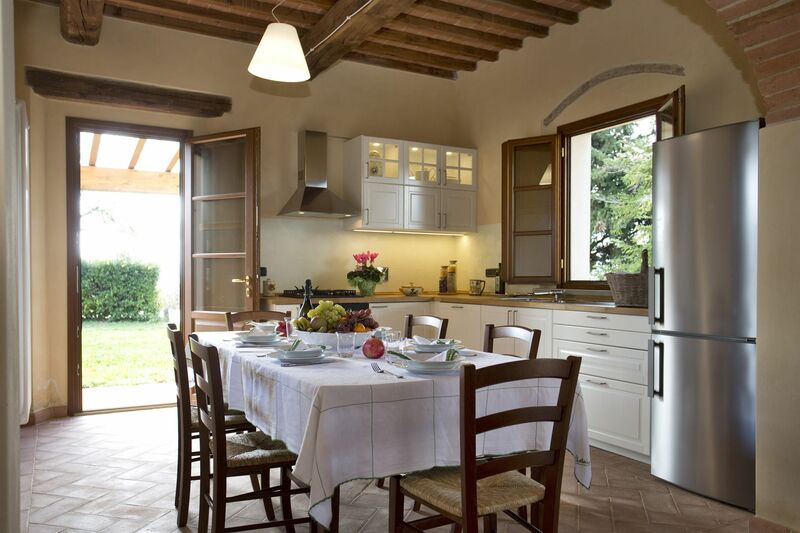 The interiors have been furnished in an attractively simple country style. 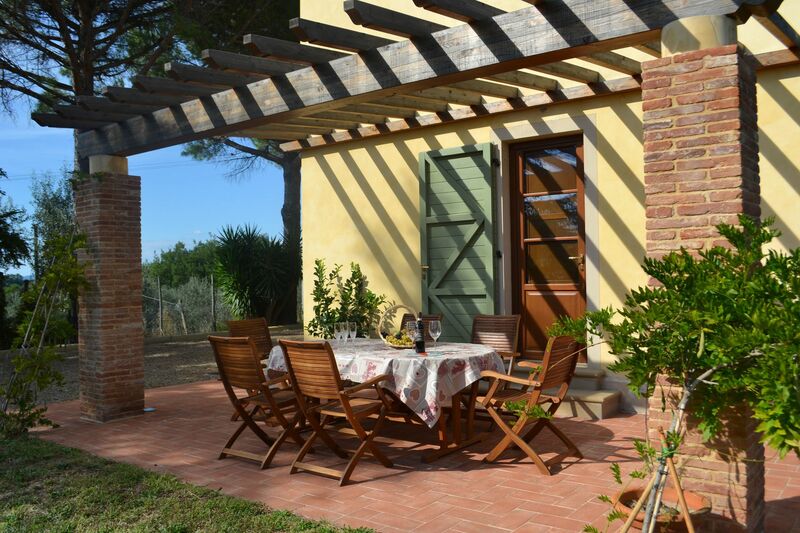 The outdoor terrace and the several shaded areas are furnished for lounging and dining, boosting open-air life. 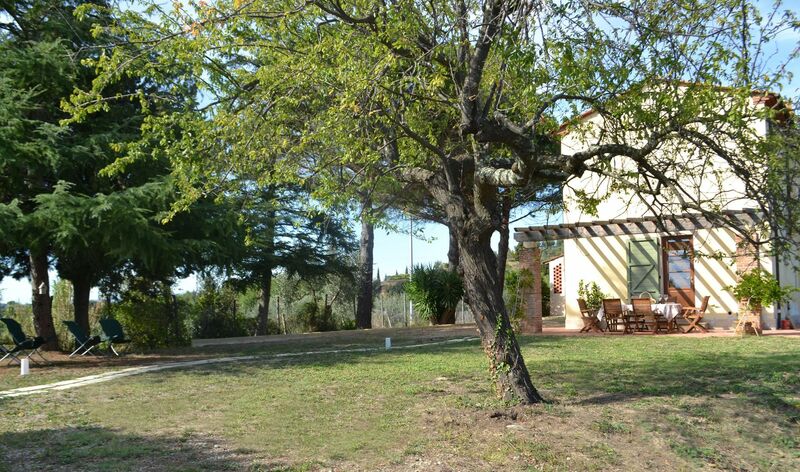 The surrounding spacious fenced garden make it perfect for families with children also because the property is completely fenced. 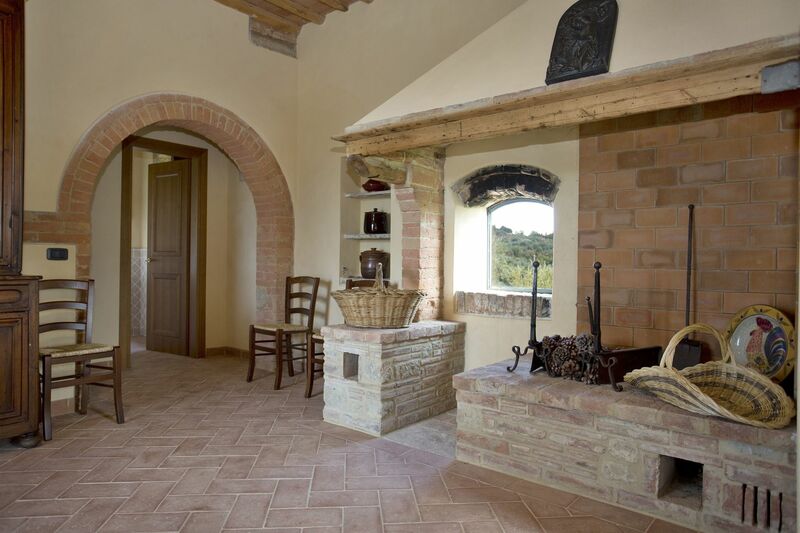 Entrance; sitting room with fireplace, large kitchen with dining area and fireplace opening onto a veranda furnished for outdoor eating, pantry, bathroom (shower). 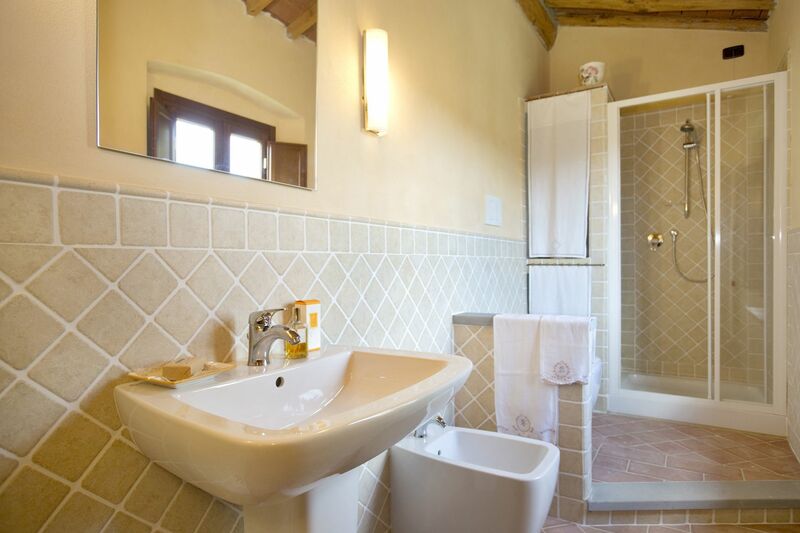 Master bedroom, twin bedroom, double bedroom, bathroom (shower), guest bathroom.